Vlaardingen is a city in the area of South Holland. It is also a municipality with a population of around 70,000 people. The city and municipality is encompassed by the Rotterdam Metropolitan area. The city in itself is quite a green city and with it’s old harbor, docks and regular festivals you will never be short of something to do. Although there are archaeological finds suggesting that there was human habitation in the area for about the last 4,500 years and a skeleton was found to be from the period of 1300BC, it is likely that the area was not occupied from the early to middle part of the first millennium. The first “modern” sign of habitation was around the early part of the 700’s when a church was built there, soon after, people settled there and a small community developed. By the early 1,000’s the area was run by Dirk the 3rd who extracted unauthorized tolls from passing ships. An army was sent to overthrow Dirk, but was beaten by him in the Battle Of Vlaardingen. The same thing occurred 30 years later with his son who again defeated the army of the Germans. In 1163 a great flood decimated much of the village. But they must have rebuilt quickly as 100 years later Vlaardingen was given a charter to become a city. In the 1570’s, when the 80 years war was being fought, the city was razed to the ground by forces under the command of William of Orange, to prevent the army of the King of Spain from capturing it. But in the following years the city was rebuilt and gained prosperity through shipbuilding and fishing for Herring. 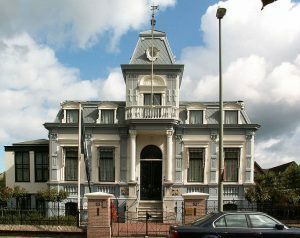 Following this the city seems to have been quietly prosperous for the next centuries until, in the mid 1800’s the municipality of Vlaardingerambacht was joined by Zouteveen. Things stayed this way until the German occupation of WW2 when the Germans added Vlaardingen to the municipality. If you are traveling to Vlaardingen by air, then the easiest way to travel is to fly into Rotterdam Den Haag airport and then get the train to Vlaardingen. 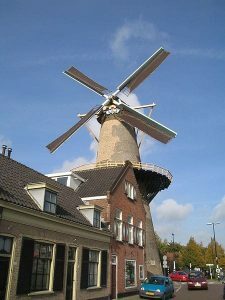 If you are flying into Amsterdam Schiphol then you should get the train to Rotterdam and change there for Vlaardingen. If you are traveling by train, there is a good service every half hour from Amsterdam to Rotterdam and then change for Vlaardingen. There are also services to Rotterdam from Utrecht, Zwolle, Amersfoort, Leeuwarden, Gronigen and Gouda. If you would rather drive, then you can hire a car at Rotterdam Den Haag Airport and just follow the signs to Vlaardingen, depending on traffic, it is a very quick journey. If you are driving from Amsterdam then you can take the A4, A20. The journey will take about one and a quarter to one and a half hours. Probably the best way to get around Vlaardingen is to take the bus. There is a very good and efficient service and you should be able to get anywhere in the city without too much trouble. If you are traveling by bus, then you will need an ov-chipcaart to pay your fare with. These can be bought from the station and then topped up with credit. Every time that you get on or off the bus, tap your card on the card reader and the right amount will automatically be deducted. The center of the city is quite compact and you can easily cycle around it. It is possible to hire bicycles fairly cheaply from the city. If you would like to go by taxi then you can telephone one at, Vlaardingen Taxi Central b.v. +31 10 435 4344, or, Musluk A, +31 10 848 2021. Vlaardingen Harbour is, in itself, a museum that covers the fishing industry. You can learn all about methods of fishing, the type of boats used and see reconstructions of the offices of the trawler owners. It also has a separate room for changing exhibitions. Well worth a visit if you are interested in boats and the sea. T’Hof, or Orange park is a small animal zoo. It is a petting zoo so you can get to really see the animals, close up. They have cows sheep and many more smaller animals, and there is also a centre for rescued pets. The Boulevard van Hogendorp is one of the best places to go shopping in Vlaardingen. You can get everything here from clothes to food to bicycles, and all on one long lane. There are other interesting shops in the area if you wander along the streets nearby. Gallod’Oro Is an Italian restaurant on Smalle Havenstraat7 is not the easiest place to find, but once you get there, you will be well rewarded. They have great Italian classics but with their own twist . The food is well prepared and served imaginatively. Friendly, informal place and good value for money. Delphi is a good homely Greek restaurant on the Smalle Havenstraat 2. It has a comfortable interior, but if the weather is good, you can sit outside as well. The food is mainly traditional Greek fare that is well prepared and just what you would expect from a good Greek establishment. El Loco Babbe is a Mediterranean Restaurant serving mainly Spanish food. Very friendly place with good, helpful staff and a great menu. With a wide ranging selection of dishes you should be able to find something for everyone. The food is good and made from local, fresh ingredients. The tapas is especially good and they also do some very nice seafood. If you are feeling very hungry then they do a particularly good mixed grill, as well as everything that you would expect to find in a good Spanish restaurant. 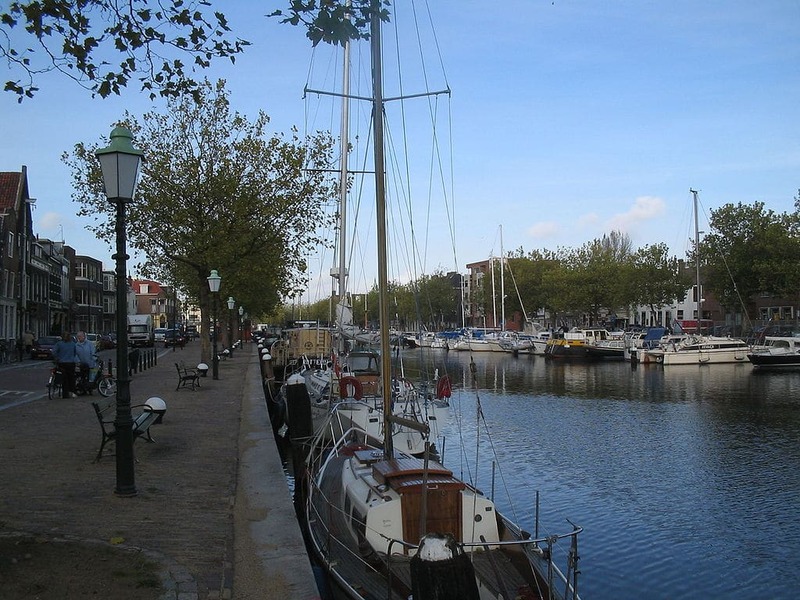 Vlaardingen is a nice place to go for a day trip from Rotterdam, or a short break that is quiet but with easy access to the bright lights, should you want some thing a but more busy.